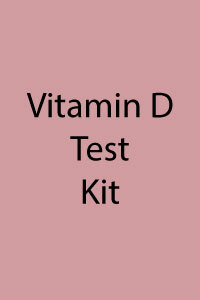 Blood Spot Kit: Vitamin D, 25-OH (done in your home, mailed to the lab via UPS). Results will be emailed to you within 10 days. Roughly 3 in 4 people in the United States have low levels of vitamin D.
Low energy, aches and pains, brain fog, mood swings, difficulty sleeping, difficultly raising your pH level to over 7, bone loss. These are all common signs of vitamin D deficiency. This deficiency can be corrected quickly, easily and inexpensively — making it possible to rejuvenate your health while vastly improving your well-being. The federal government's own National Health and Nutrition Examination Survey found that over 75% of those surveyed had vitamin D blood levels below the threshold that the prestigious non-profit Vitamin D Council and a growing number of doctors consider sufficient for overall health. Other tests say 80% are deficient. In my experience, too few doctors monitor vitamin D levels. It seems that identifying nutritional deficiencies has never been a primary focus of their medical training. One key reason that vitamin D deficiency has reached epidemic proportions it is this: Most people don't get enough sun exposure. The human body only produces vitamin D in response to ultraviolet rays. And while our bodies are designed to spend most of our time outdoors, the majority of us now spend our days confined inside. To make matters worse, public health officials have been waging war on the sun for decades, urging people not to go out in the sun without first slathering themselves in (dangerous and toxic) sunscreen lotions. Not only do sunscreens block vitamin D production, many brands contain toxic chemicals that can do more harm than good. Even if you are already supplementing....are you getting enough?